Heralded as a major church-state decision, the U.S. Supreme Court said a church-owned school is entitled to state funds available for playgrounds open to the public. The decision in Trinity Lutheran Church of Columbia v. Comer marked a turning point in the church-state debate and an ending point for the Court session. The justices have taken a recess for the summer. Observers called the case a "major" decision under the Free Exercise clause. The decision prompted separate opinions from five justices, who voted 7-2 for the church. Chief Justice John Roberts, Jr. wrote for the majority, saying Missouri violated the constitutional right to free exercise of religion by excluding churches from its program for improving playgrounds. Missouri prohibits the government from spending public money on "any church, sect, or denomination of religion." The church had applied for public funds to rubberize the school playground, but the state denied its application as a church-owned school. Roberts said the violation was not as dramatic as other historic cases of religious discrimination. "The consequence is, in all likelihood, a few extra scraped knees," he wrote. "But the exclusion of Trinity Lutheran from a public benefit for which it is otherwise qualified, solely because it is a church, is odious to our Constitution all the same, and cannot stand." In a footnote, Roberts said the decision was fact-specific. "We do not address religious uses of funding or other forms of discrimination," he said. According to reports, more than 30 states have prohibitions like Missouri's. However, Missouri reversed its policy after oral arguments in the case. Justice Neil Gorsuch, joined by Justice Clarence Thomas in a concurring opinion, said the majority's footnote should not be interpreted too narrowly. It is not just a "playground resurfacing" case, he said. "Such a reading would be unreasonable for our cases are 'governed by general principles, rather than ad hoc improvisations," he said. "And the general principles here do not permit discrimination against religious exercise - whether on the playground or anywhere else." In dissent, Justice Sonia Sotomayor emphasized her position by summarizing it from the bench. She said it weakened the country's line between church and state. "If this separation means anything, it means that the government cannot, or at the very least need not, tax its citizens and turn that money over to houses of worship," she said. 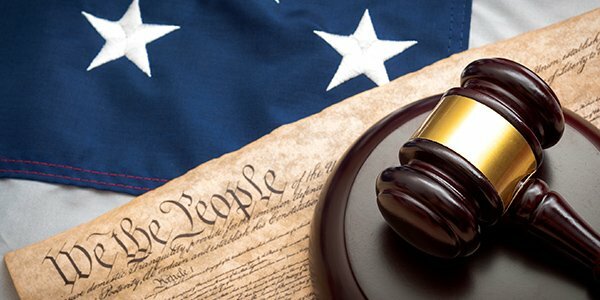 "The Court today blinds itself to the outcome this history requires and leads us instead to a place where separation of church and state is a constitutional slogan, not a constitutional commitment."